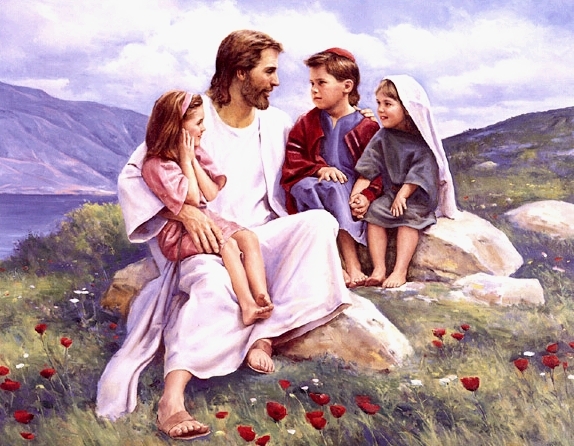 Home featured Spirituality Who is Jesus Christ? That was the label given to me when I went to pastor a large, thriving church. From the first day I was immersed in strategies for making the church bigger and better. Soon my name was near the top of the list of pastors of the fastest-growing U.S. churches. There I was … living out the American church dream. But I found myself becoming uneasy. For one thing, my model in ministry is a guy who spent the majority of his ministry time with twelve men. A guy who, when he left this earth, had only about 120 people who were actually sticking around and doing what he told them to do. So how was I to reconcile the fact that I was now pastoring thousands of people with the fact that my greatest example in ministry was known for turning away thousands of people? Whenever the crowd got big, he’d say something such as, “Unless you eat the flesh of the Son of Man and drink his blood, you have no life in you.” Not exactly the sharpest church-growth tactic. By the end of that speech, all the crowds had left, and only twelve men remained. Jesus apparently wasn’t interested in marketing Himself to the masses. His invitations to potential followers were clearly more costly than the crowds were ready to accept, and He seemed to be okay with that. He focused instead on the few who believed Him when he said radical things. And through their radical obedience to Him, he turned the course of history in a new direction. I realized I was on a collision course with an American church culture where success is defined by bigger crowds, bigger budgets, and bigger buildings. I was now confronted with a startling reality: Jesus actually spurned the things that my church culture said were most important. So what was I to do? I found myself faced with two big questions. The first was simple. Was I going to believe Jesus? Was I going to embrace Jesus even though He said radical things that drove the crowds away? The second question was more challenging. Was I going to obey Jesus? My biggest fear, even now, is that I will hear Jesus’ words and walk away, content to settle for less than radical obedience to Him. I am on a journey. But I am convinced it is not just a journey for pastors. I am convinced these questions are critical for the larger community of faith in our country today. I am convinced that we as Christ followers in American churches have embraced values and ideas that are not only unbiblical but that actually contradict the gospel we claim to believe. And I am convinced we have a choice. Let’s put ourselves in the shoes of the eager followers of Jesus in the first century. This is where we come face to face with a dangerous reality. We do have to give up everything we have to follow Jesus. We do have to love him in a way that makes our closest relationships in this world look like hate. And it is entirely possible that he will tell us to sell everything we have and give it to the poor. But we don’t want to believe it. We are afraid of what it might mean for our lives. And this is where we need to pause. Because we are starting to redefine Christianity. We are giving in to the dangerous temptation to take the Jesus of the Bible and twist him into a version of Jesus we are more comfortable with. A nice, middle-class, American Jesus. A Jesus who doesn’t mind materialism and who would never call us to give away everything we have. A Jesus who is fine with nominal devotion that does not infringe on our comforts, because, after all, He loves us just the way we are. A Jesus who wants us to be balanced, and who, for that matter, wants us to avoid danger altogether. A Jesus who brings us comfort and prosperity as we live out our Christian spin on the American dream. But do you and I realize what we are doing? We are molding Jesus into our image. He is beginning to look a lot like us because, that is whom we are most comfortable with. And the danger now is that when we gather in our church buildings to sing and lift up our hands in worship, we may not actually be worshiping the Jesus of the Bible. Instead we may be worshiping ourselves. This brings us to the crucial question for every professing or potential follower of Jesus: Do we really believe He is worth abandoning everything for? Do you and I really believe that Jesus is so good, so satisfying and so rewarding that we will leave all we have and all we own and all we are in order to find our fullness in Him? Do you and I believe Him enough to obey Him and to follow Him wherever He leads? With the best of intentions, we have turned away from Jesus. We have blindly and unknowingly embraced values and ideas that are common in our culture but are antithetical to the gospel He taught. [We] need to revisit the words of Jesus, to listen to them, to believe the, and to obey them. We need to return with urgency to a biblical gospel, because the cost of not doing so is great for our lives, our families, our churches and the world around us.